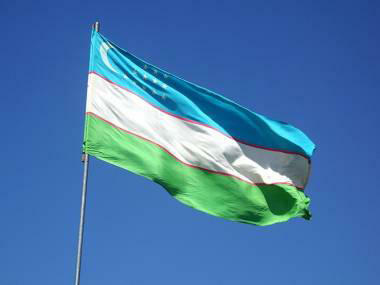 Uzbekistan is going to implement project on production of 500,000 cubic meters of aerated concrete, Uzbekistan’s O’zqurilishmateriallari JSC (Uzbuildmaterials) told Trend. The company noted that current volume of production of aerated concrete in the country is 2,500 cubic meters, while the real demand is a lot more. "Aerated concrete is a relatively new building material that has taken a strong place in the market of Uzbekistan. A good example for that is the project to organize building materials production cluster at Akhangarancement enterprise, where, along with other building materials, aerated concrete will also be produced," Uzbuildmaterials said. According to the project, the production of aerated concrete is planned to be increased to 500,000 cubic meters (200 times), which will allow to satisfy domestic demand and organize export of this building material. The production will be 90 percent localized, since all of the necessary raw materials, except the aluminum powder, are produced in the country. In the future, the production volume of aerated concrete will grow based on the actual demand for this product in the domestic and foreign markets. Aerated concrete is a reliable and tested building material. It is made of autoclaved concrete. The composition includes cement, lime, quartz sand, water and special gas-forming additives. The material has high strength, lightness and optimum thermal insulation. Aerated concrete’s porosity is up to 85 percent, so, the material has hardness of stone and porosity of a tree. In January-September 2018, the enterprises of the Uzbuildmaterials JSC produced marketable products for 3.51 trillion soums (2.43 trillion soums in 2017), of which products worth $40.1 million ($78.29 million) were exported. Cement production for the reporting period amounted to 5.75 million tons (5.91 million tons).